Gives you a nice blend of modern and vintage tone in one set. The Alnico II Pro Set is a ˜modern vintage™ set: It has the dynamic response of vintage pickups, but includes modern touches like 4-conductor cables and wax potting. If you enjoy using your volume knob to go from clean to distortion, or vary the tone of your guitar with your fingers, this Set was designed for you. 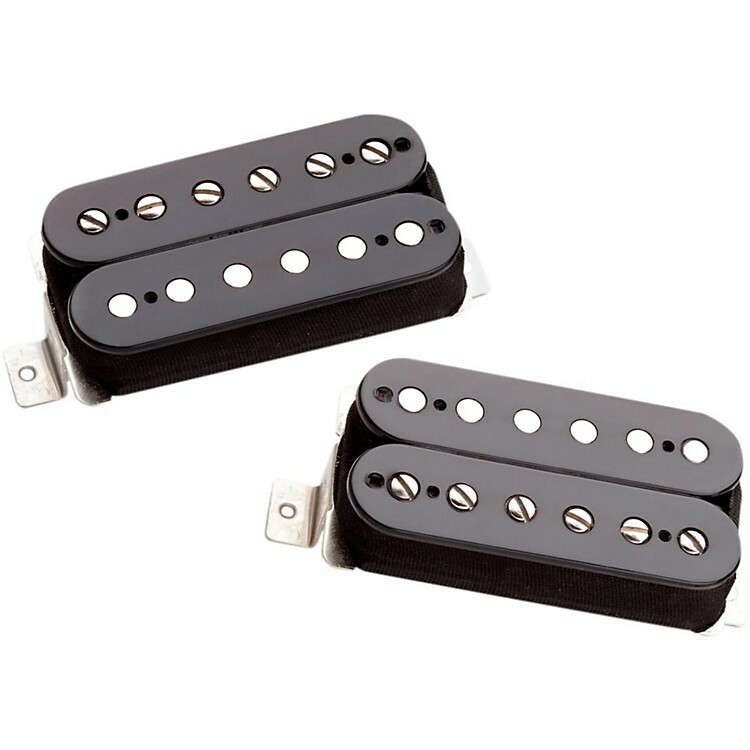 The Alnico Pro II' are perfect for brighter instruments, and come in black with no logo. The Alnico 2 magnet and moderate windings yield a warm, sweet tone with more natural string vibration for great sustain. Classic rock players who get their distortion from the amp rather than the pickup love the APH-1. It allows them to back off the crunch and get beautiful clean tones with softer attack. Compared to the '59, the Alnico II Pro has a rounder sound with a spongier bass response. Comes with four-conductor hookup cable. Order this special set today!